Find me on my social media platforms - Facebook, Youtube, Twitter, Instagram, and LinkedIn. Click here to follow my upcoming events for you and your family to enjoy. Hello everyone! 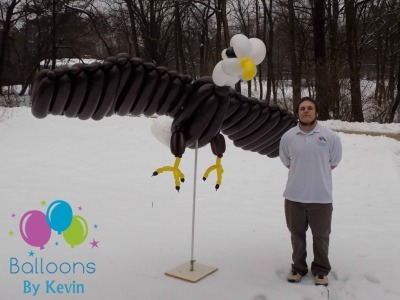 My name is Kevin Lindh and I own and operate "Balloons by Kevin" as the Midwest's premier balloon artist, entertainer, and decorator. On Balloons-by-Kevin.com you can assess my work any time while receiving testimonials, my performance schedule, business FAQs, and much more. I would love to be a part of your special event and make memories for your guests by providing any of these services.